Curly maple and paint. 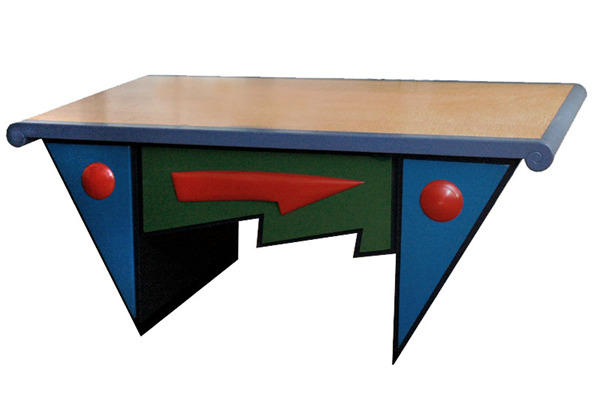 This piece is loosely based on the “Memphis” style popularized by the Italian architect Ettore Sotsass in the 1980’s. It has currently returned to our studio for restoration and repair after 17 years of action and is available for purchase and immediate delivery. Also known for a while as Flash Gordon's Desk.